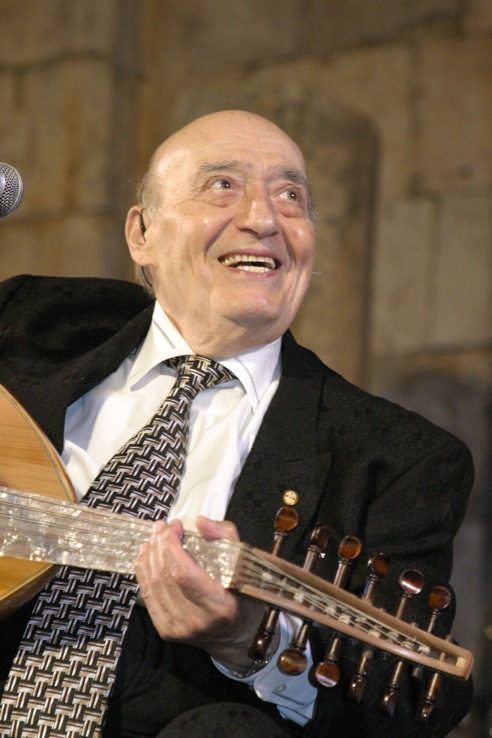 The legendary and well loved Lebanese singer, songwriter, and actor Wadih al Safi died on Friday night at the age of 91. Often known as the “Frank Sinatra of the Middle East”, “the voice of Lebanon” and “the golden throat”, Safi passed away at the Belle Vue Medical Center in Lebanon after suffering a stroke, according to reports. Originally from the Chouf village of Niha, the legend was born Wadih Francis. After he won a singing competition on the radio at the age of 17 he grew to become one of Lebanon’s most prominent and influential musicians and cultural icons. Safi was a musical force that helped develop Lebanese folk music. He was a classically trained tenor, having studied at the Beirut National Conservatory of Music, and has written over 3,000 songs. Safi toured the world singing in various languages including Arabic, Syriac, French, Portuguese and Italian, as well as performed with many well-known Lebanese musicians, including Fairouz and Sabah. The funeral will be held Monday afternoon at St. George’s Cathedral in downtown Beirut. Lebanon and the world has lost a truly great musician, but Wadih El Safi’s enchanting melodies and words, magical voice, and cultural legacy will live forever. BNL CONTEST: WIN YOUR TICKET TO THE NRJ MUSIC TOUR 2011! Prepare for BLVD 44 – The Hot New Rooftop in Beirut! Older PostA Taste of Wonderful Wine at Vinifest 2013!